Nancy L. Beck, CFP®, CERTIFIED FINANCIAL PLANNERTM is the founder of Beck Financial Strategies, an Independent Fee- Based financial planning firm located on the historic Ft Benjamin Harrison campus near the North-East side of Indianapolis. She has provided customized financial planning services and educational programs for over 35 years. Beck is a member of the FPA, (Financial Planning Association), NAWBO, (National Association of Women Business Owners, SHRM (Society of Human Resource Management), as well as the Lawrence Chamber of Commerce. 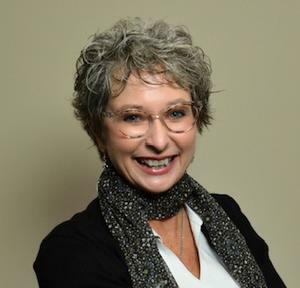 She has served as an adjunct faculty member for the College for Financial Planning, CO. She is frequently quoted in the Indianapolis Business Journal and The Indianapolis Star News and periodically writes articles for various local newspapers. Beck conducts a series of financial planning workshops for corporations, churches and other organizations on a wide range of financial subjects. She is also a Federal Retirement Planning Professional and provides benefit education and training for Federal and Civil Service Employees. Many, who sponsor these workshops, find the programs to be one of the most popular, and a key component in their employee benefit package. Nancy educates people on the financial planning process and provides hands on services to help people make better financial decisions. Beck provides competitive options to meet the growth and security desires of her investors. Nancy holds a FINRA Series 6, 7, & 63 securities license. She is also a licensed insurance agent and is a state accredited agent for the Indiana Long Term Care Program.